We spent three days in Monterey, CA. As luck would have it we arrived on Friday afternoon and got to enjoy the Cherry’s Jubilee Motorsports Festival – an annual event. 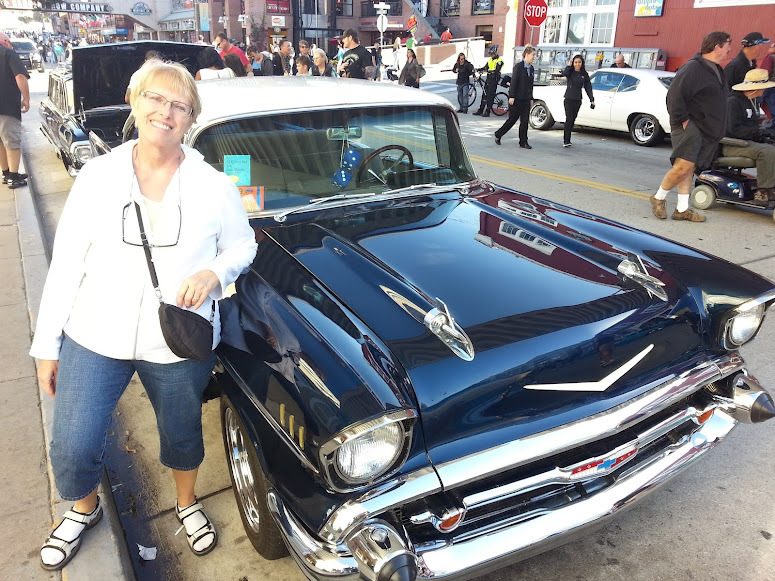 The streets were lined with hot rod cars and classic cars. The cars from the 50’s are what caught our eye. I was surprised to learn that I am a Bel Air girl. I discovered that every time we got to a Bel Air I would say, “Oh, isn’t she pretty?” These cars were gorgeous. Bruce pined for the SS 396 Chevelle. What guy – back then – didn’t? Relax guys, I didn’t really lean on it – no smudges left by me! But, really – isn’t she pretty? On lay over days we made walking a priority. There is plenty to see down on the waterfront. There are several restaurants within steps of the marina. A beautiful Spanish courtyard that had vendors selling wares on the weekends. There is a wonderful walking path that runs along Monterey Bay from the marina, through the old town and ends at the Aquarium. The Monterey Bay Aquarium is a must see if you are in the area. 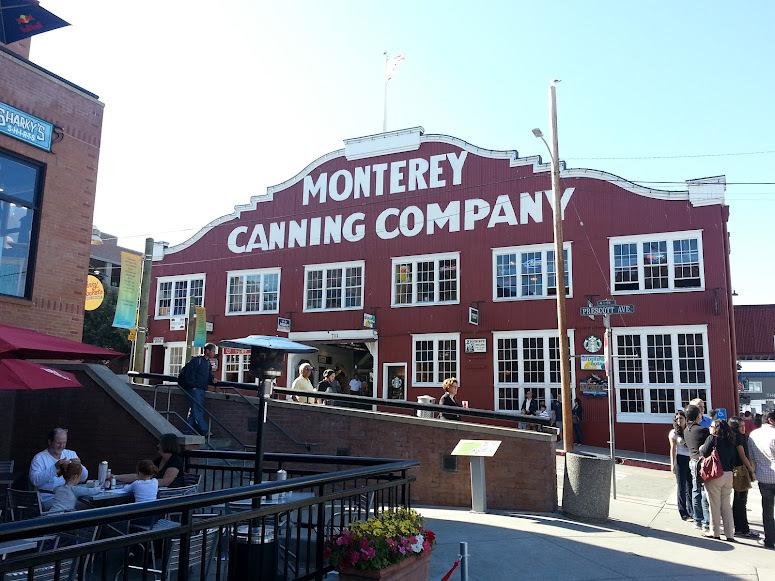 There are hotels, restaurants, and shops in the old town section – Cannery Row – to tempt the browsing shopper. 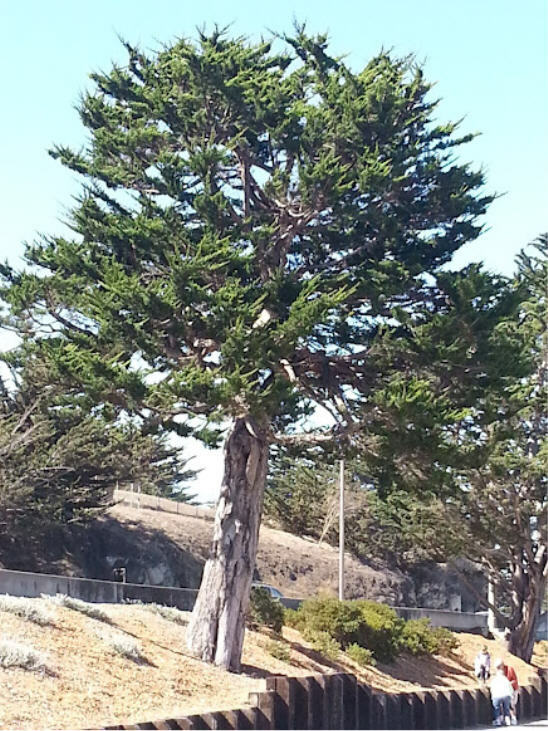 This lovely tree was on the way to the downtown area where the Cannery and the Cherry’s Jubilee cars were parked. We’ve been here on two other occasions so we had a good idea of where everything was. This time we discovered a Trader Joe’s grocery store within walking distance of the marina! We departed Monterey in light fog – marine layer. The fog burned off and it was a beautiful day on the water. This was a long day – one of two on this trip south. We started early and finished 13 hours later – arriving before dark. A long day is better than an overnight – which messes with our internal clock. We opted to hop our way down the coast, avoiding overnight voyages. We had no schedule. We decided to go with the weather. It was fun to day hop and enjoy the ports we visited. Though long, it was an easy day, and at the end of the day we were satisfied that a hundred miles of our trip south was done. I kept a lookout for whales. I thought it might be too early to see whales headed south but you never know. In the end we did see one whale. I didn’t get a good photo. We saw several groups of dolphins. They are always fun. One group swung by for a quick pass of our bow, but kept on going. There are times they will play off our bow for several minutes. This time it was a quick dash and they were on their way. 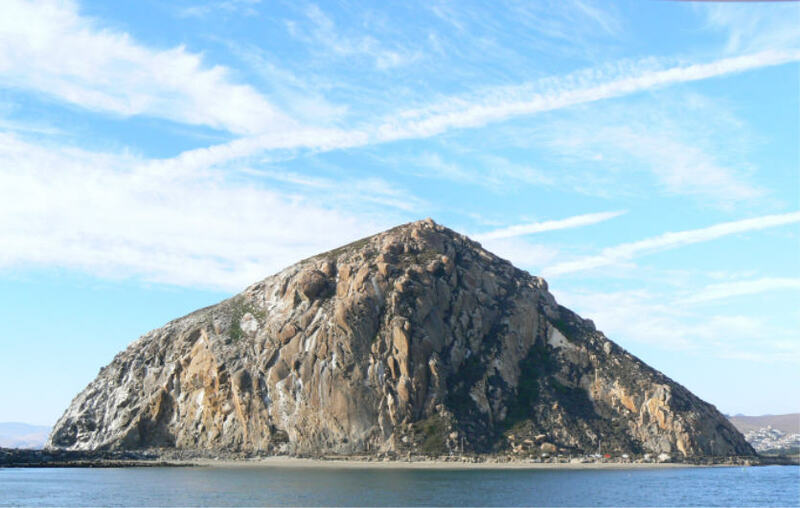 We were both happy when we saw our favorite Morro Bay landmark. Our day voyage was almost done. As you can see we got in before dark. 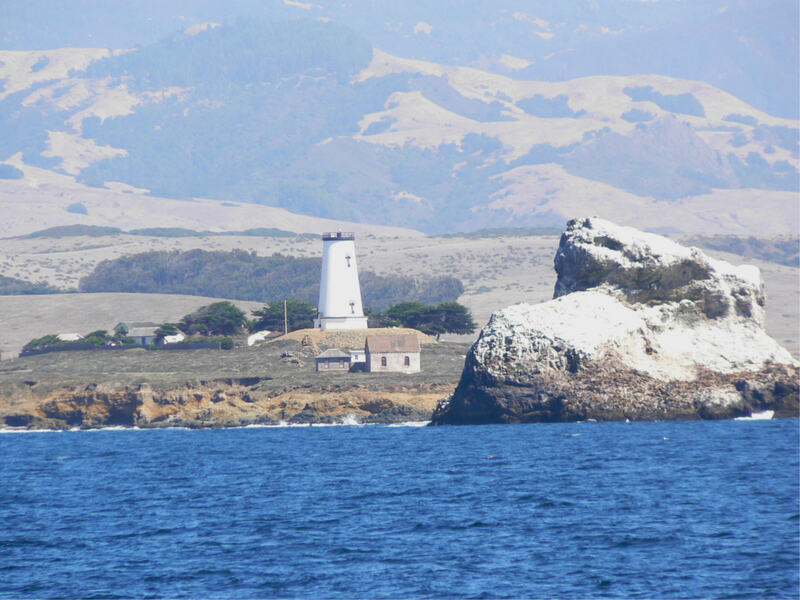 Stand by for more details of Morro Bay and our voyage – Headed South.